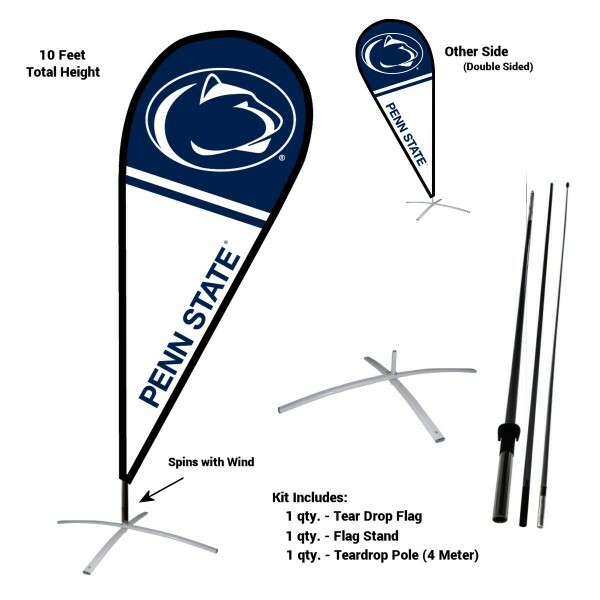 Our Penn State Nittany Lions Teardrop Flag and Stand Kit is a unique way to draw attention to your favorite team and show your allegiance indoors or outdoors! This tear drop flag kit includes a 9' x 3' teardrop flag, a 3-piece 13' (4 meter) pole, and metal flag stand. When fully assembled, this teardrop flag kit has a height of 10 feet tall! The flag is made of durable, weather resistant, 300 mil polyester and the Penn State Nittany Lions logos are double sided screen printed so they are viewable and readable correctly on both sides. 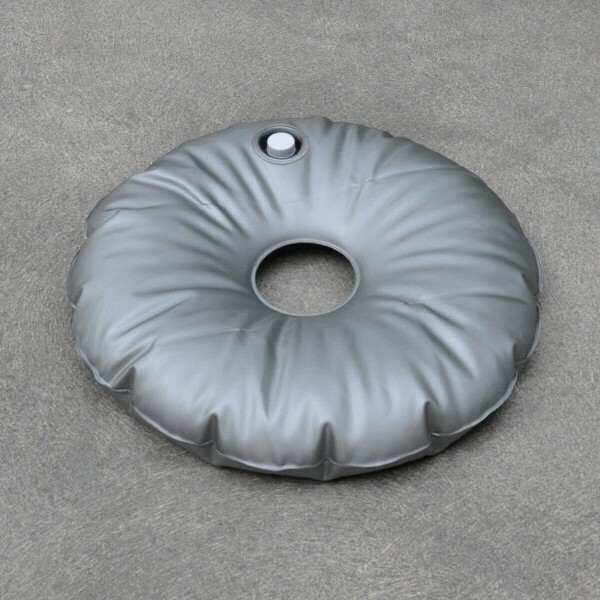 The 3-piece pole is made of flexible fiberglass and will spin freely in the flag stand depending on the wind direction. Our metal flag stand is collapsible for easy storage and is powder coated silver in color. 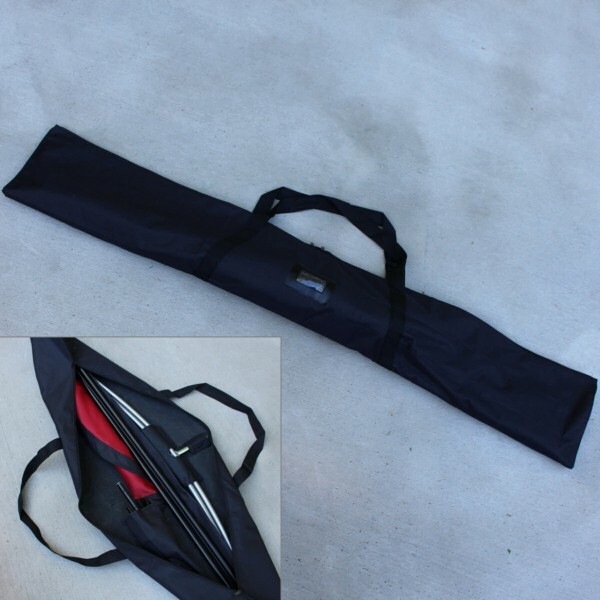 For additional accessories which include ground stakes, weight bases, and carry bags, see our Teardrop Flag Accessories. 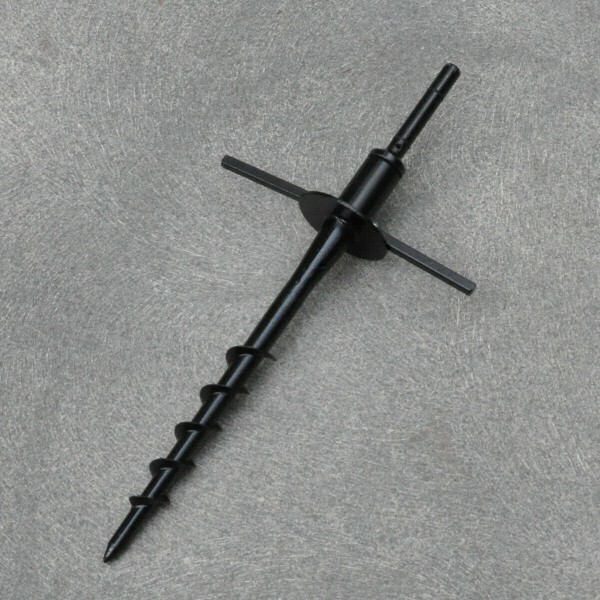 For assembly, first connect the 3 piece pole from thick to thin sections. Second, carefully feed the pole through the pocket of the teardrop flag starting at the bottom of the flag. Slowly move the flexible pole through the pocket until the thin tip of the pole reaches the end of the flag pocket. Thirdly, pull the bottom of the flag down the pole and attach a tied loop to the bottom of the pole to securely keep the flag from moving up the pole when assembled. Lastly, place the teardrop pole into your metal flag stand.